Imagine waking up and immediately looking your best. Semi-permanent makeup can enhance your natural beauty, boost your self-confidence, and give you more personal freedom. Perfect for those who want to save time in the morning, people with allergies or sensitivities to regular makeup, athletes and active people, those looking to fix asymmetrical features, or anybody who simply wants to look their best all the time — the possibilities are endless. Are you interested in semi-permanent makeup or microblading and want to learn more? Our Certified Micropigment Specialists will answer your questions, address any concerns, and explain the process during a 30-minute consultation. This is required before booking services. Normally priced at $50, it is complimentary with our introductory pricing. A semi-permanent tattooing technique to fill in eyebrows, using a small blade to make many individual hair-strokes for a natural finish. This technique utilizes a professional device with an ultra-thin needle to deposit pigment into the second (dermal) layer of the skin. Brows are shaded and filled in to achieve a fuller and/or darker brow. Also known as shaded brows or ombre brows. A combination of microblading and powder brows to achieve your desired look. A $100 deposit is required at time of booking for all semi-permanent makeup and microblading services. Every service above includes a 4–6 week post-treatment touch up. This à la carte touch up is scheduled anywhere from 4-12 months after any micropigment service as natural fading occurs. Semi-permanent makeup is the art of micropigment implantation, a process by which tiny droplets of custom colored pigment is skillfully implanted into the skin to simulate natural looking color or well-defined makeup. Though sometimes confused with cosmetic tattoos, micropigment implantation utilizes different techniques to deposit the pigment superficially into the skin, and the devices used are more refined than tattoo machines. Who benefits from Semi-Permanent Makeup? How long does semi-permanent makeup last? 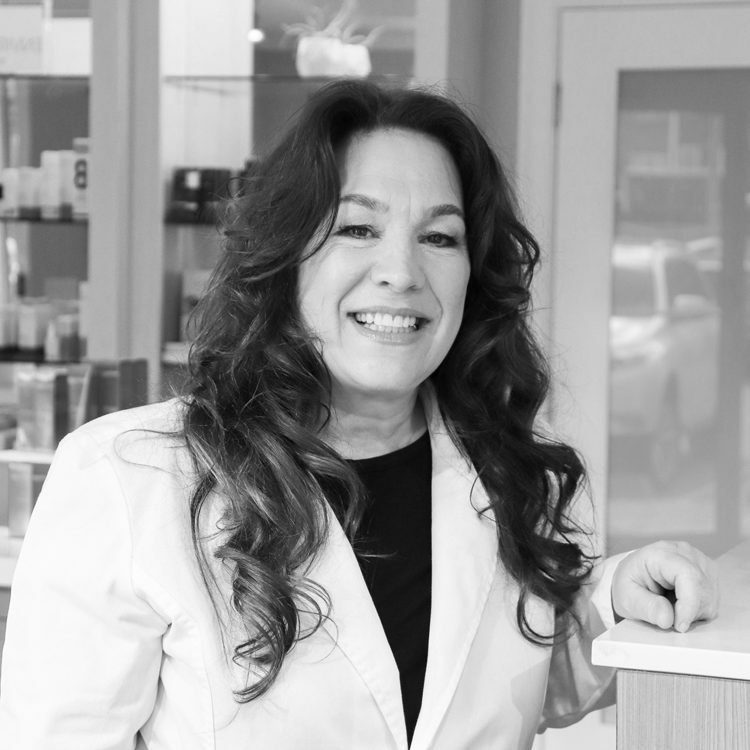 Many factors influence the longevity of semi-permanent makeup such as the sun, hormones, skincare products, chlorine pools, medications, and hydration of the skin. Your semi-permanent makeup can last for several years depending on your skin. Darker pigment will last longer than lighter pigment. If done correctly with quality pigments, your semi-permanent makeup should last 3-5 years. Most semi-permanent makeup procedures require a touch up session to layer the pigment and make any corrections needed. Yes. Our Certified Micropigment Specialists are fully trained, highly skilled, and licensed to provide semi-permanent makeup services. Further, all of our staff places the utmost importance on safe and hygienic practices. Prior to your service, your service provider will explain the inherent risks of the cosmetic procedure, and make sure you aren’t experiencing any conditions that render you unable to receive services. Please review the restrictions, which can be found below. Is there something else you’d like to know? Contact us with any questions by calling us at 978-465-3010, filling out our contact form below, messaging our Facebook page, or booking a complimentary consultation. Microblading is perfect for those who want to fully reconstruct, add a slight arch, define, cover gaps or fill in over-plucked brows semi-permanently without needing to use makeup. It is low maintenance after the initial healing process. After healing, you can rub them and enjoy swimming and wake up every morning with perfect brows. No special care is required, except for a brief touch up once a year. While microblading uses a blade to make many hair-strokes, the powder brow technique utilizes a professional device with an ultra-thin needle to fill in the brow with hypoallergenic mineral pigments. This can be combined with microblading for your desired look, whether it be natural, soft, or intense. How long do the services take? Microblading is a meticulous process that may take up 2.5 hours to complete. The Certified Micropigment Specialist will first draw on the new eyebrow shape based on the client’s preferences with a removable pencil, and get approval or adjust as needed. The actual microblading is done stroke by stroke, for an end result that is beautiful and natural-looking. The skin is fully healed after 28 days. 10-15% of the drawn strokes disappear after the first treatment, after which your service provider will perform a touch-up to add pigment that has been lost. This first touch-up is included in the initial cost. Please use our aftercare guidelines below to better maintain your microbladed and/or powdered eyebrows to ensure maximum results. Color duration primarily depends on how oily the skin is. The oilier the skin, the shorter the color lasts and will need to be refreshed around 6 months. On average, the coloring should last between 10-12 months. Sweating and sun exposure also reduce color. It is not uncommon to lose 50% of the color on the first application. All semi-permanent make up applications are multi-session processes. Two or three applications may be required to achieve the desired results. After, touch ups are recommended every year. Yes. 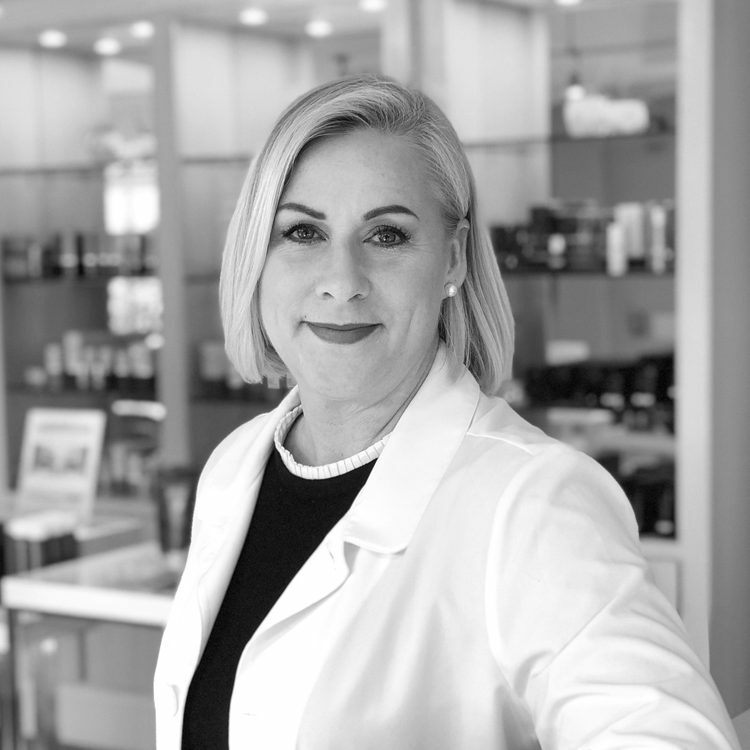 Our Certified Micropigment Specialists are fully trained, highly skilled, and licensed to provide microblading services. Further, all of our staff places the utmost importance on safe and hygienic practices. Prior to your service, your service provider will explain the inherent risks of this cosmetic procedure, and make sure you aren’t experiencing any conditions that render you unable to receive services. Please review the restrictions, which can be found below. Retinol/Retin-A must be discontinued 7 days prior to procedure. (It may cause the skin to bleed). Injections (Botox, Radiesse, JuvaDerm, Voluma, etc.) must be done 2 weeks before or 2 weeks after procedure. Chemical peels and laser treatments may not be done within 60 days before or after procedure. The use of Latisse® must be discontinued at least 3 months prior to your eyeliner procedure. Sunburned or Suntanned skin is damaged skin and therefore may cause excessive bleeding. We CANNOT work on sunburned or suntanned skin. You cannot expose the area to the sun for 30 days before or after procedure. Stay out of steam rooms, saunas, hot yoga, swimming pool, etc. for one week following procedure. Avoid alcohol and caffeine 1 day before procedure to minimize any bleeding or swelling. Do not take aspirin, ibuprofen, niacin, fish oil or vitamin E 3 days prior to procedure unless medically necessary. Avoid tweezing, waxing, electrolysis, and coloring your brows for two weeks prior to the procedure. This will allow your technician the most flexibility to achieve optimal results. We offer several different options of eyebrow pigmentation lasting from several months to several years; your specialist will discuss the best options for you depending on your skin type, lifestyle, desired results and desired maintenance. Do not wear contact lenses during or immediately following your eyeliner procedure. Remember to bring your eye glasses. You may resume wearing your contact lenses as soon as your eyes return to their pre-treated condition. The use of Latisse® must be discontinued at least 3 months prior to your eyeliner procedure. Latisse® produces an inflammatory reaction in the skin, which may cause excessive pain and bleeding. Do not use other growth stimulants such as RapidLash®, or RevitaLash® for at least one week prior to, or one week after your eyeliner procedure. Lash extensions must be removed completely before your eyeliner procedure. If you have any history of cold sores, fever blisters, or herpes simplex, you must contact your physician to obtain and take the proper prescription medication to prevent such outbreaks for at least 4 days before and after the procedure. Many physicians prescribe 12 capsules of 500mg Valtrex. Follow your physician’s instructions. Wear your normal makeup and bring your lip or brow pencils with you the day of the procedure. Please be aware that in order to ensure we choose the right color pigment, we may need to remove any foundation or concealer you are wearing to see the true undertone of your skin. You may choose to bring your makeup to touchup after your procedure. Micropigmentation (semi-permanent makeup) procedures are affected by the “canvas” (your skin) on which they are performed. Lifestyle, medications, smoking, metabolism, facial surgery and other procedures, and age of skin all contribute to fading. The initial application is always applied conservatively because every person’s skin is different and the final color can only be precisely determined and adjusted during a follow-up appointment after the initial application has fully healed. Because of this, the micropigmentation process is not complete after the initial procedure. In all cases, a follow-up appointment is required approximately 4-6 weeks after your initial application to fine tune and ensure the best result. Though rare, infection is possible. If you see signs of infection such as persistent increased redness or swelling, fever, drainage, or oozing, contact your doctor immediately. An invisible liquid bandage will be applied over your brows and will wear off after approximately 48 hours. Beginning 48 hours after your procedure, gently apply a very thin coat of aftercare salve with a clean, sterile Q-tip to the area twice a day. Maintain moisture on your brows with the aftercare salve we provide. Reapply when eyebrows feel dry or brow skin feels taught. Apply just enough product to moisten them; if the salve is visible, there is no need to apply more; too much product may cause the scab to lift prematurely and affect the healing process. Do not wipe off aftercare salve from eyebrows. This can cause the scab to fall off prematurely. Let the salve absorb into the skin. Do not get your brows wet for the next 10-12 days. This includes saunas, showers, baths, or sweat. Avoid facial cleansers or soap on brows until all scabbing falls off. We recommend using microfiber clothes to remove makeup and cleanse face. Do not scratch, pick, peel, rub or pull on the skin or scabs. Avoid sweating such as from vigorous exercise for 10 days post-procedure. Do not use peroxide or Neosporin on treated areas for at least one week post-procedure or until healing is complete. Do not expose area to direct sun or to tanning beds for at least one week post-procedure or until healing is complete. Avoid tanning beds, sun, chlorine spas and pools, and alpha hydroxyl creams near the treated area until healed. Avoid Retin-A, glycolic acids, and exfoliants at all times (not just during healing) on all micropigmented areas. These can cause pigments to fade and lighten prematurely. Do not resume any method of eyebrow hair removal or coloration for at least two weeks. Avoid eyebrow tinting within 48 hours before and two weeks after the procedure. Pigments will slowly fade over time according to one’s metabolism, skin type, sun exposure, medication, facial surgery, and smoking. Schedule maintenance visits as needed to keep it looking fresh. Periodic touch ups will ensure longer lasting results. What will make your eyebrows fade? Youth – simply put, the younger/healthier you are, the faster your cells turn over which causes color to fade. Apply ice packs as necessary to prevent or reduce swelling. Beginning 48 hours after your procedure, gently apply a very thin coat of aftercare salve with a clean, sterile Q-tip to the area twice a day once a day. Maintain moisture on your eyeliner with the aftercare salve we provide. Reapply when skin feelS dry or taught. Apply just enough product to moisten; if the salve is visible, there is no need to apply more. Too much product will also cause the scab to lift prematurely and affect the healing process. Do not wipe off aftercare salve from eyes. This can cause the scab to fall off prematurely. Let the salve absorb into the skin. Avoid facial cleansers or soap until all scabbing falls off. We recommend gently using microfiber clothes to remove makeup and cleanse face. Do not wear makeup on your eyes until scabs have fallen off – usually up to 14 days. Avoid sweating such as from vigorous exercise for 24-hours post-procedure. Sleep on your back! Rubbing your eyes on pillows may cause scabs to come off and produce patchy brow healing. Avoid Retin-A, glycolic acids, alpha hydroxyl creams, and exfoliants at all times (not just during healing) on all micropigmented areas. These can cause pigments to fade and lighten prematurely. Avoid tanning beds, sun, chlorine spas and pools until healed. Contact lenses should not be worn until the swelling subsides. Do not use any eyelash tinting or other coloration for at least two weeks after the procedure. Ice packs may be used to minimize swelling the day of and the day after the procedure. Use ONLY new unopened mascara, in order to avoid contamination and infection. Apply mascara only to the tips of the eyelashes; avoid contact with eyelid. Do not use eyelash curlers during the healing process. Apply ice for the first 2-24 hours to reduce swelling. Beginning 48 hours after your procedure, gently apply a very thin coat of aftercare salve with a clean, sterile Q-tip to the area twice a day once a day for 4 days, and then switch to lip balm or lipstick with an SPF of 15 or greater as the sun tends to fade lip color quickly. Do not wipe off aftercare salve; let the salve absorb into the skin. Lips may appear to have too much color in the days following the procedure. You may add makeup to soften the color. Scars on the lips from fever blisters cause pigment removal. See our Pre-Procedure Instructions for lips. Avoid tanning beds, sun, chlorine spas and pools, and tooth whitening toothpaste until healed. Avoid Retin-A, glycolic acids, alpha hydroxyl creams, and exfoliants and anti-aging products at all times (not just during healing) on all micropigmented areas. These can cause pigments to fade and lighten prematurely.